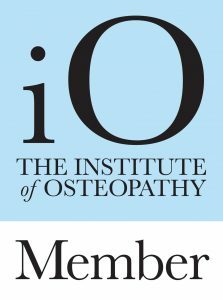 Who may consult an osteopath? Osteopathic treatment is appropriate fro all ages. We have treated children from as young as a few days old ( for the effects of a difficult birth) and adults into their nineties. Osteopathic techniques can be modified to be extremely gentle. Although doctors do refer patients to us, the majority of people consult us directly. With the patient’s permission we will refer patients back to the GP if we feel that there is a need. When you first consult one of our osteopaths your consultation will usually last 40-60 minutes. If you need further treatment, the session will usually last between 20-30 minutes. This will vary on the nature of the problem, how long it has been there, and what factors have contributed to the problem. Osteopathic treatment may well help to accelerate your recovery, but how you manage your problem will also have a bearing. So, some people only need to come once, while others may need many treatments. Your osteopath should give you an assessment of how much treatment is likely to be needed at your first appointment. A number of private medical insurance companies such as BUPA, AXAPPP, WPA, HSA now cover osteopathic treatment. However, not all of their policies include Osteopathy. Also, not all companies cover all osteopaths. Therefore please check with your insurer before treatment to ensure that they will cover your treatment. Do I need to see my General Practitioner first? Although many local general practitioners refer patients to us, it is not necessary to see your GP before coming to the osteopath. 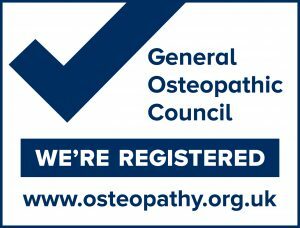 Osteopaths are trained to recognise the kind of problems that are not suitable for osteopathic treatment and will refer you back to your GP if that is more appropriate. The majority of people who come to us are suffering from pain in their lower back or neck and may have related pain in one or more of their limbs. Spinal pain has become more frequent in recent decades and many people experience recurrent episodes. Often osteopathic treatment reduces the frequency of these episodes or even stops them. With advise on appropriate exercise and care most people can improve their backs! Registered Osteopaths treat patients with their hands; drawing from a wide range of techniques. These include massage-like techniques to relax muscles, articulation or passive repetitive joint stretching to improve the quality or range of movement of a joint, and high velocity thrust techniques to restore mobility and function of a joint (this is the technique which produces a click). Many practitioners also use gentle release techniques ( sometimes referred to as cranial osteopathy) to ease away stresses in tissues. Following treatment some people feel sore. This is often a sign that the body is responding to what has been done. Generally this reaction settles down in 12-24 hours. If you are concerned in any way please contact your osteopath. We may have to examine and treat areas of the body that are tender and therefore sensitive to touch. The techniques we use should not generally cause or amplify the pain that you have come with, but sometimes there may be discomfort when sensitive areas are treated. Generally, the answer to this is yes. Even if the symptoms are in a limb (perhaps an elbow or knee problem) we may well still need to examine other parts of the body. For instance, where there is pain in the arm, we may need to examine the neck and upper back. Where there is pain in the hip or knee we may need to examine the lower back region. Please wear suitable underwear that you feel comfortable in, or bring something to change into. You will be asked about your past and present health. Therefore if you are on medication of any kind, please bring either the medication or information about what you are taking. If you have had private x-rays taken and have the films in your possession, please bring them with you.